Gabrielle Celeste, a Columbia native, has an extensive local and international training background. At a very young age she found her calling in choreography and at fifteen she established her company, Celestial Stars. Her innovative Ballet’s are accentuated by other various dance styles creating moving and powerful works; such as her original, full length Ballet, “The Christmas Angel"©, which debuted in 2001. Gabrielle was very determined to break the mold of most studios and create an atmosphere of professionalism that is balanced with ethical guidelines. All of her students are taught equally the Vaganova Ballet technique, and she also means to bring out the best of each individual as a person. At age 4 Gabrielle performed for Rasia Struckova, Principal Ballerina of the Bolshoi Ballet. Rasia said of Gabrielle - "I have only seen one other child more talented than her, and that was me." Gabrielle began her training with Wrenn Cook of Wrenn Cook and friends at age 3. The same year she started ballet with William Starett and Marie-Claire Miranda of Columbia City Ballet. At age six she studied intensively under Ann Brodie until Ms. Brodie's passing seven years later. While she was at Calvert-Brodie she also was taught by Debbie Spivey (Ballet), Maura Gable Moore (tap), and Linda Busby (jazz). The next few years she trained with Donna Lewis Director of the Eboni Dance Theater, Stanislav Issaev, as well as Kris Cangelosi (contemporary) at USC. 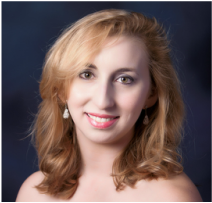 Gabrielle performed in countless productions while dancing with Columbia City Ballet, The Carolina Ballet, Footnotes, Eboni Dance Theater, and the USC Dance Company. Gabrielle has also had the opportunity of training at different summer programs including: classes with the Queensland Ballet Company, Australia; Jazz Dance World Congress, Chicago; The Princeton Ballet, NJ; and multiple summers at the USC Summer Intensive. Gabrielle met her dance partner and husband, Gene Reed in 2006, while studying Argentine Tango. Together they have two beautiful daughters, Genevieve Starr, 8; and Seraphina Lang-tai, 5 and are due with baby #3 in September. ​​Debbie Spivey was born in Richmond, VA where she began her dance studies at the young age of six. Over the years she performed various soloist and principle roles in the Richmond Ballet and The Concert Ballet of Virginia. She moved to Columbia in 1984 and began teaching ballet at Calvert-Brodie and eventually opened her own studio, Footnotes, The School for Classical Dance. In 2000 she received a calling from God to use her gifts and talents to glorify and honor Him, so she began The Moving For Christ Dance Ministry, a Christian dance ensemble. Debbie and Moving for Christ. Perform throughout Columbia uplifting and praising the name of our Lord and Savior Jesus Christ. Debbie is a member of the Bible Way Church of Atlas Road where she is a dancer and the choreographer for Divine Praise, the worship and arts dance ministry. 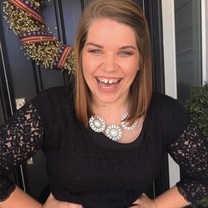 She teaches arts dance ministry, she teaches the Arts in Motion youth dance team at Bibleway and also the Moving for Christ youth team at Covenant Christian School. Dance has been a lifelong passion for Debbie and when the Lord Jesus came into her life He became her passion and Psalm 149:3 became her life , “Let them praise His name with dancing”.